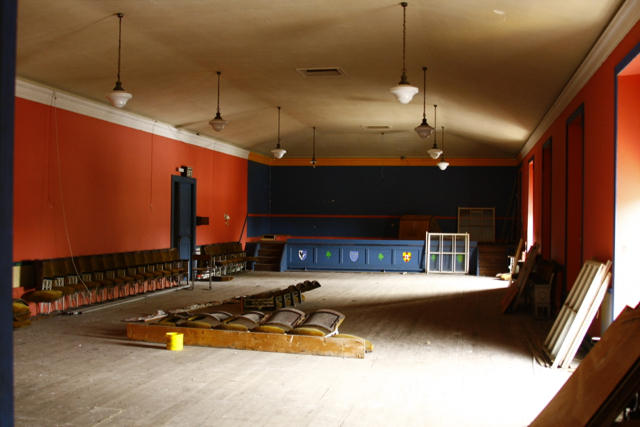 Working to restore the town hall cinema in Loughrea - "for the community, by the community"
This photo shows the upstairs of the Loughrea Town Hall and Cinema building, which was used as a ballroom and dance hall. LARC propose to develop this as a multifunctional community space. Our current and primary campaign is to ensure that Loughrea Town Hall and Cinema building on Barrack Street is refurbished and restored to its former prominence as a centre of cultural life for the town of Loughrea. This means providing a space for social inclusion, youth, training, tourism, cultural and social events and the development of local enterprise. Our group aims to speak for the community groups and people of Loughrea. ON FACEBOOK? CLICK OUR LIVE FEED BELOW TO GO TO OUR PAGE!